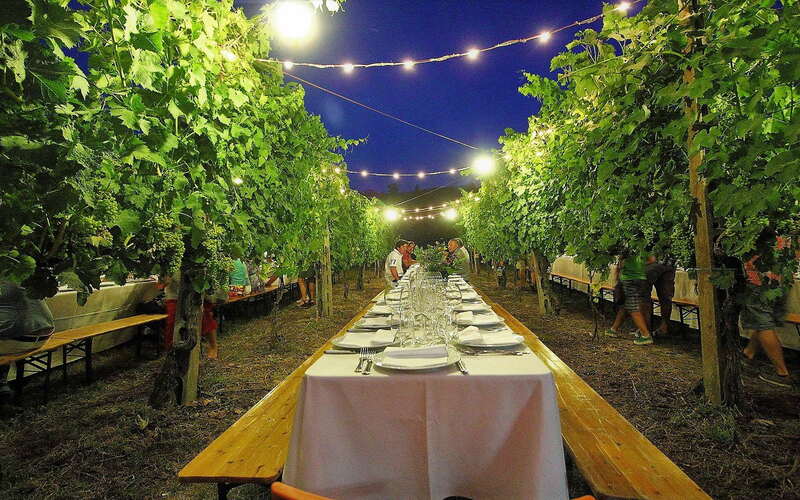 Night falls on the vineyard and the lights of the lanterns turn on, illuminating the table finely set: so starts the Tuscan dinner in the vineyard. A moment of conviviality to spend in the company of your loved ones or new friends, in a characteristic and exclusive setting. 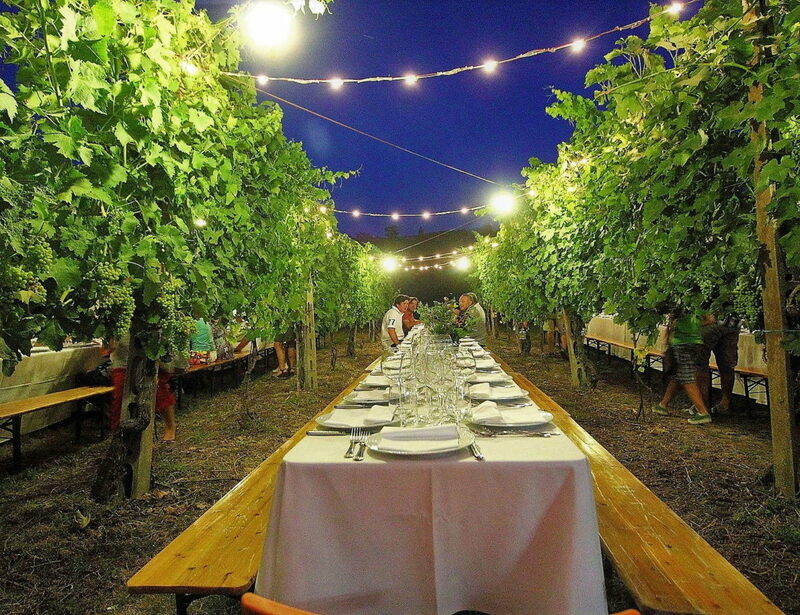 In the evocative setting of the vineyard, you will taste the dishes of a typical Tuscan menu, prepared respecting the seasonality and local productions, paired with wines from the territory of the Valdichiana Senese. Prepare to spend the night in pure joy in the open fields of Tuscany.